Known as Playground Production’s First Lady, Astryd Brown is something of a wonder. 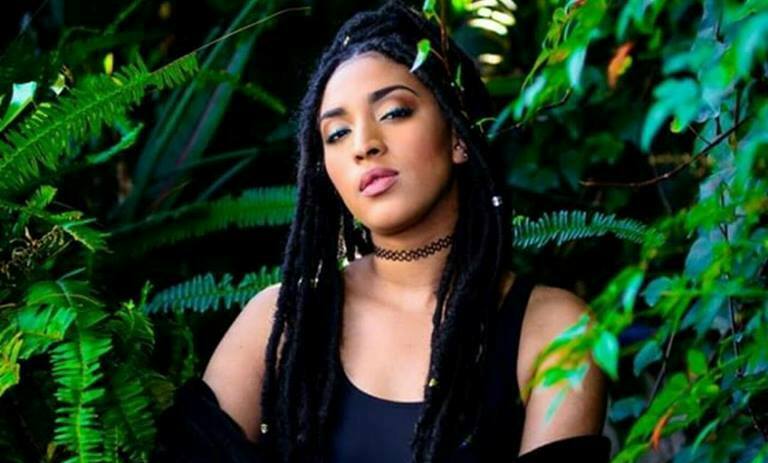 She is a singer and songwriter who is affiliated with the likes of Yung Swiss, Ricky Tyler, The Beatz and Kyle Keyz to name a few and she has just dropped her second single for the year, FOUR. Astryd Brown may as well be the epitome of a versatile vocalist with a distinct tone that has an edge to it, for real. The Eldorado born beauty is able to switch between a number of genres without compromising her RnB sound. In early 2015, Astryd, was featured on a track by Mark Stent Vs Pascal & Pearce titled RAIN. The song gained even more attention when it was remixed by a group of notable DJ’s among them being Hendrik Joerges. A compilation EP of Rain Remixes was released through Sony Music Africa. Astryd Brown has recently dropped the visuals for FOUR, her second offering of 2017. FOUR is a heavy 808 filled club banger about not being content with what you have. The theme of the music video is swag, boujee and badass. The storyline takes the audience through what a night out with Astryd and her squad is like. The vibes are unmatched as Playgrounds First Lady gives you a peak into her world, taking the viewer on a journey of zero chill and no regrets. When SA’s number one trap king and label mate Yung Swiss takes center stage, you immediately feel his presence as he delivers his verse. It’s quite clear that Astryd Brown and Yung Swiss don’t need to hit the club to have a good time because they are the party. Link up with her on Facebook, Twitter and Instagram for more updates on the music. Peep the video for FOUR below!